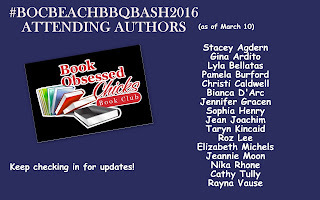 Join readers and authors down at the beach for a casual get to know you event. Put your feet in the sand and meet some of your favorite authors. Registration is $65.00 for the event. Please email Kimberly at the above email for information on how to register. Thanks so much for all you do and thanks for your interest in the 6th Annual, #BOCBEACHBBQBASH2016, which will take place on June 25th at Lido Beach, The Mushrooms in Lido Beach, NY from 12pm-6pm. As many of you know, last year’s event had a record 150 attendees, which was a lot of work, but so much fun to put together. I can’t do it without you all. Authors generally grab a picnic table and display some of their work and have their promo material. Readers make their way around the “mushroom”, meeting new authors and talking to their favorites. It’s a very relaxed setting but so much fun. We raffle off baskets with author goodies and signed books, with some proceeds going to my favorite charity, Making Strides Against Breast Cancer Walk. 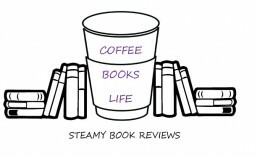 Authors are welcome to bring books for giveaway or sale. We also give goody bags out to all who attend with various author promotional materials, which I am so thankful for. Raffle baskets are so welcome! Last year we were very lucky to have Authors Cynthia D’Alba, Elle James and Cat Johnson sponsor our bags and Author Kym Grosso made a generous donation to sponsor some of the very much needed food supplies. 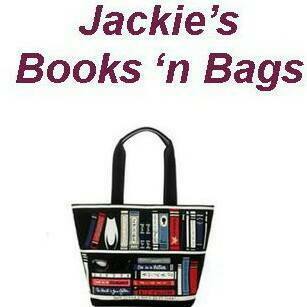 I am hoping to have authors once again sponsor the goody bags. If anyone would like to, please let me know. I am requesting any promotional material you may have and any donations for the raffles, if possible. Please feel free to contact me at kimberly_rocha@msn.com . I expect around 100 attendees this year, but I will not know final count until June 1. Items would be needed by June 1, 2016, and any help would be so much appreciated.